Want to know where you can drink Champagne for FREE? 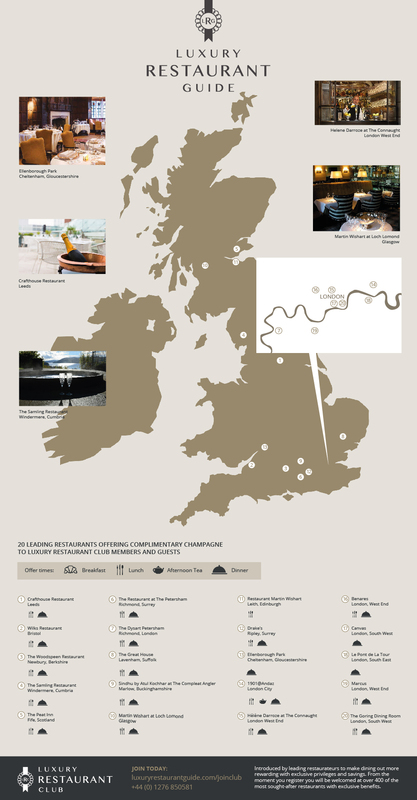 Check out our fantastic infographic map showing 20 leading Restaurants ready to pour a glass of chilled fizz for you and your guests – complimentary! Not a member? Join today for just £95 and start your free Champagne tour! Go to www.luxuryrestaurantguide.com for more details.